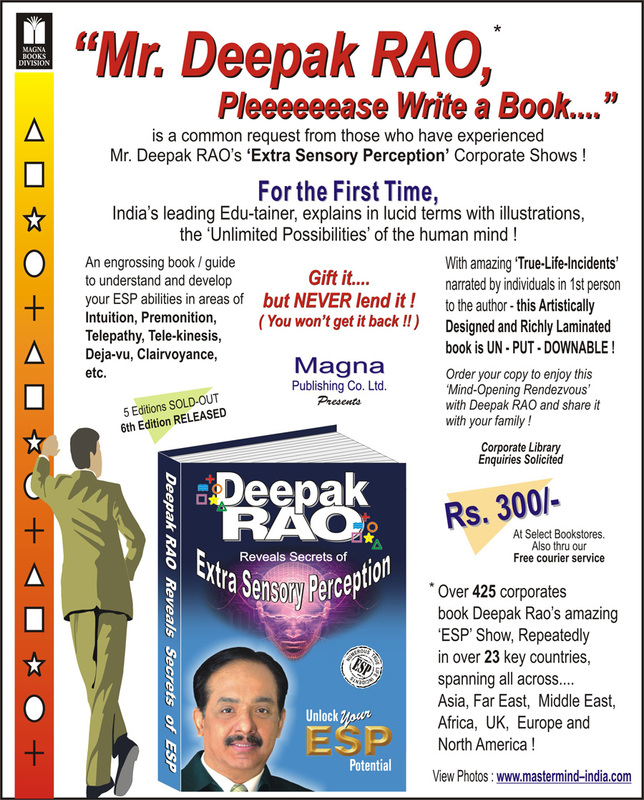 Colgate-Palmolive again invites Deepak RAO to present his 'ESP' Show ! 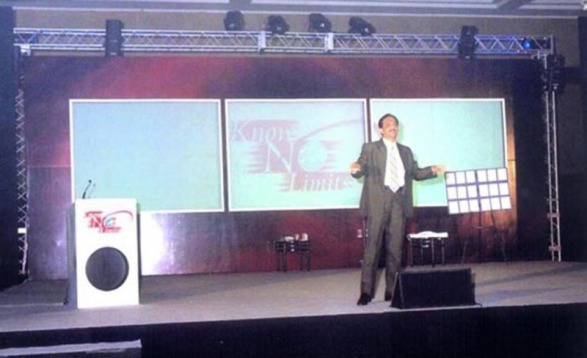 When Colgate had its National Sales Conference with its theme ‘Know No Limits’ to excite their sales force, it was unanimously decided that Deepak RAO should be invited to present his incredible ‘Extra Sensory Perception’ Show to substantiate the same ! Introduced by Mandira Bedi & Roshan Abhas, who also actively participated during the show, Deepak RAO set the hall ablaze with excitement, as he presented a series of dynamic experiments in Telepathy, Tele-kinesis, Levitation, Premonition, etc. 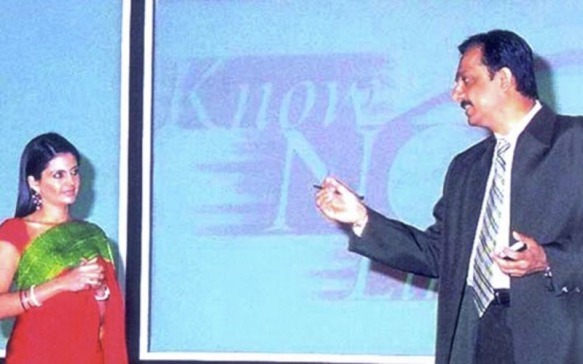 Sales force teams from all-India, participated actively and were most excited when Deepak RAO bent a key, borrowed from the audience in Madira Bedi’s hand. Infact Mandira herself was so stunned that she bowed to the RAO being totally overwhelmed ! RAO’s unique ability of incorporating their launch product - Colgate Active, as a part of the ‘ESP’ Show was highly appreciated, as recall value was ingrained.